This article is about the UK listings magazine. For the US radio series, see Radio Times with Marty Moss-Coane. Radio Times is a British weekly magazine which provides radio and television listings. It was the world's first broadcast listings magazine  when it was founded in 1923 by John Reith, then general manager of the British Broadcasting Company, later became the British Broadcasting Corporation from 1927. John Charles Walsham Reith, 1st Baron Reith, was a Scottish broadcasting executive who established the tradition of independent public service broadcasting in the United Kingdom. In 1922 he was employed by the BBC as its general manager; in 1923 he became its managing director and in 1927 he was employed as the Director-General of the British Broadcasting Corporation created under a Royal Charter. His concept of broadcasting as a way of educating the masses marked for a long time the BBC and similar organisations around the world. An engineer by trade, and standing at 6'6" tall, he was a larger than life figure who was a pioneer in his field. The British Broadcasting Company Ltd (BBC) was a British commercial company formed on 18 October 1922 by British and American electrical companies doing business in the United Kingdom and licensed by the British General Post Office. Its original office was located on the second floor of Magnet House, the GEC buildings in London and consisted of a room and a small antechamber. On 14 December 1922, John Reith was hired to become the Managing Director of the company at that address. The company later moved its offices to the premises of the Marconi Company. The BBC as a commercial broadcasting company did not sell air time but it did carry a number of sponsored programmes paid for by British newspapers. On 31 December 1926, the company was dissolved and its assets were transferred to the non-commercial and Crown Chartered British Broadcasting Corporation (BBC). Immediate Media Company Limited is a combined publishing house containing the former assets of Origin Publishing, Magicalia and BBC Magazines. It was formed on 1 November 2011 and was owned by Exponent Private Equity until January 2017, when Hubert Burda Media acquired the company for an undisclosed sum. Immediate Media Co. publishes over 70 interest-based, multi-platform brands, maintains over 50 websites, and employs over 1,100 staff in its offices in Hammersmith, London, Bristol, Redditch, Camberley and Manchester. Immediate is the current publisher of a diverse range of publications, including the Radio Times, Gardens Illustrated and Top Gear magazines. Tom Bureau - who has a background in digital media as well as traditional publishing - is Immediate's CEO. 60% of Immediate's profit is generated by the Radio Times, which is now spearheading the company's moves into online retailing..
Radio Times was first issued on 28 September 1923 for the price of 2d, carrying details of BBC wireless programmes (newspapers at the time boycotted radio listings, fearing that increased listenership might decrease their sales  ). BBC Radio is an operational business division and service of the British Broadcasting Corporation. The service provides national radio stations covering the majority of musical genres, as well as local radio stations covering local news, affairs and interests. It also oversees online audio content. A boycott is an act of voluntary and intentional abstention from using, buying, or dealing with a person, organization, or country as an expression of protest, usually for moral, social, political, or environmental reasons. The purpose of a boycott is to inflict some economic loss on the target, or to indicate a moral outrage, to try to compel the target to alter an objectionable behavior. Initially, Radio Times was a combined enterprise between the British Broadcasting Company and the publisher George Newnes, who type-set, printed and distributed the magazine. But in 1925 the BBC assumed full editorial control, and by 1937 the publication was fully in-house. The Radio Times established a reputation for using leading writers and illustrators, and the covers from the special editions are now collectible design classics. Sir George Newnes, 1st Baronet was an English publisher and editor and a founding father of popular journalism. His company, George Newnes Ltd, continued publishing ground-breaking consumer magazines such as Nova long after his death. Masthead from the 25 December 1931 edition, including the BBC motto "Nation shall speak unto nation"
In 1928, Radio Times announced a regular series of 'experimental television transmissions by the Baird process' for half an hour every morning. The launch of the first regular 405-line television service by the BBC was reflected with television listings in the Radio Times edition of 23 October 1936. Thus Radio Times became the first television listings magazine in the world. Initially only two pages in each edition were devoted to television. However, on 8 January 1937 the magazine published a lavish photogravure supplement and by September 1939, there were three pages of television listings. Britain declared war on Germany on 3 September 1939 and television broadcasting ceased. Radio listings continued throughout the war with a reduced service, but by 1944, paper rationing meant editions were only 20 pages of tiny print on thin paper. When television resumed, the Radio Times expanded with regional editions were introduced. In 1953 the television listings, which had been in the back of the magazine, were placed alongside the daily radio schedules and on 17 February 1957, television listings were moved to a separate section at the front with radio listings relegated to the back. 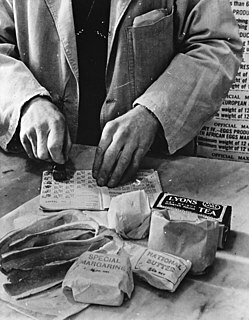 Rationing was introduced temporarily by the British government several times during the 20th century, during and immediately after a war. Radio Times is published on Tuesdays (its publication day having gradually moved forward from Fridays over many years) and carries listings for the following Saturday through to Friday (this began in 1960, before which issues ran Sunday to Saturday; the changeover meant that Saturday 8 October 1960 was listed twice). From 20 April 1964, BBC Two starts broadcasting, the existing "BBCtv" (formerly BBC Television Service) is renamed BBC One, then on 1 July 1967, BBC Two becomes Europe's first colour television service is launched with the live Wimbledon coverage, and two years later BBC One is finally introduced colour service on 15 November 1969. Since Christmas 1969, a double-sized issue has been published each December containing listings for two weeks of programmes. Originally, this covered Christmas and New Year listings, but in some years these appear in separate editions, with the two-week period ending just before New Year. The cover of the 'Christmas Number' (as this issue came to be called) dating from the time when it contained just a single week's listings, usually features a generic festive artwork, atypical for the magazine, which since the 1970s has almost exclusively used photographic covers for all other issues. By the 1970s, Radio Times took a stand with "no smoking" policies were beginning to appear for some reason and also stopped cigarette advertising (such products include Benson & Hedges, John Player, Rothmans, Dunhill and Imperial Tobacco) from September 1969 within the magazine. On 1 September 1984, the method of web-offset printing was used for the first time, and the magazine became brighter and more colourful, gone were the sludgy greys of newsprint and sheets of gravure was replaced by clean blacks on white paper from leafing through although it wasn't until 2 June 1990 that the entire magazine was finally printed in full colour. Until the deregulation of television listings on 1 March 1991, the Radio Times carried programme listings for BBC radio and television channels only, while the ITV-published magazine, TVTimes , carried television programme listings for ITV, and from November 1982, Channel 4 (including S4C in the Wales edition). Today both publications carry listings for all major terrestrial, cable and satellite television channels in the United Kingdom and following deregulation, new listings magazines began to be published. Radio Times gets with the new fresher look on 3 September 1994 as the television listings had the day's name going vertical with "today's choices" replacing "at a glance" on the left of a page, while the major revamp on 25 September 1999, which also changed the "letters" section beginning on the front page and primetime television listings from two narrow columns to one wide column, and lasted until 13 April 2001 (shortly before Easter), which saw the new masthead title and the programme pages were reverting to having the day running across the top of the page horizontally. On 22 May 2007, two extra pages of television listings per day were added as part of a slight tweak in the publication's format, bringing it up to ten pages of listings per day in total, or five double-page spreads: two pages of reviews of highlights ("choices") followed by two pages of terrestrial television listings, then six pages of listings for digital, satellite and cable channels. Before digital channels became commonplace, a terrestrial day's television was sometimes spread over up to three double-spreads mixed with advertisements, but this format was phased out when independent publishers were allowed to publish television programme schedules. Until 2009, the television listings issued a warning phrase "contains strong language" used for BBC programmes from 9:00pm during the hours of watershed restrictions. As from 10 April 2010 onwards, the daytime listings have moved onto the evening section having the full day's output for the five main channels on one double-page spread. Other changes saw the addition of Freeview EPG numbers into the channel headers, and include director and year of production details on all Film4 movies throughout the day. There are several regional editions, which each contain different listings for regional programming. All editions carry variations for adjoining regions and local radio listings. When it began in 1923, there was just a single national edition, but from 10 October 1926 there were two editions – Southern and Northern, then on 7 January 1934 it was back to one edition again. In 1949 the North of England edition was separated from Northern Ireland who had their own edition. On 8 October 1960, the Midlands edition was renamed Midlands & East Anglia, and the West of England edition was renamed South & West, and on 21 March 1964 the previously unmarked London edition was renamed London & South East. From 1982 until 1991, S4C listings were included in the Wales edition known as "Rhaglenni Cymraeg", but only the Welsh language programmes were listed, and no English language programmes known as "Rhaglenni Saesneg", those would require consultation for the TVTimes' pull-out supplement Sbec was used. The number of English regional editions has been reduced since the early 1990s due to there being fewer variations in the schedules, such as the Yorkshire version was absorbed by the North East version on 25 September 1993 and later added the North West version on 7 April 2007. Before 1997, the regional variations were at the bottom of the relevant channel listings. The most recent of these was on 25 August 2007 when the Midlands and London/Anglia versions were merged. The exception to this process of merging is Wales, which used to be part of a larger Wales/West (of England) version, mirroring the HTV region, and separated on 16 April 2005 leaving the West of England to join South and South West versions together. The recent change from 25 September 1999, which the programme page headings were violet for films, dark orange for television, and sea green for radio. On 30 October 2004, the colours were later changed the day's listings for Tuesday in lavender, Wednesday in mint leaf, Friday in navy blue, and from 10 April 2010, the colours changed once again were Sunday in navy blue, Monday in yellow, Thursday in mauve and Friday in indigo. The Radio Times for 30 April – 6 May 2005 covered both the return of the Daleks to Doctor Who and the forthcoming general election. Most covers consist of a single side of glossy paper. However, the magazine often uses double or triple-width covers that open out for large group photographs, while events such as Crufts or new series of popular programmes are marked by producing several different covers for collectors. Sporting events with more than one of the Home Nations taking part are often marked with different covers for each nation, showing their own team. The second series of Life on Mars , meanwhile, was marked by the Radio Times producing a mock-up of a 1973-style cover promoting the series, placed on page 3 of the magazine. In recent years,[ when? ]Radio Times has published and sold packs of reproductions of some of the Christmas covers of the magazine as Christmas cards. From 2000 to 2018, BBC Worldwide has published the Radio Times Guide to Films, featuring more than 21,000 films in a 1,707-page book. The 2006 edition was edited by Kilmeny Fane-Saunders and featured an introduction by Barry Norman, former presenter of the BBC's Film programme until his death in 2017. The Radio Times Guide to Films 2007 is introduced by Andrew Collins. There are also similar publications, the Radio Times Guide to Comedy and the Radio Times Guide to Science-Fiction. The Radio Times website was launched in 1997 primarily as a listings service. In 2011, it relaunched offering a diverse editorial product to accompany its listings and television, radio and film recommendations. Television in the United Kingdom started in 1936 as a public service which was free of advertising. Currently, the United Kingdom has a collection of free-to-air, free-to-view and subscription services over a variety of distribution media, through which there are over 480 channels for consumers as well as on-demand content. There are six main channel owners who are responsible for most material viewed. There are 27,000 hours of domestic content produced a year at a cost of £2.6 billion. Since 24 October 2012, all television broadcasts in the United Kingdom have been in a digital format, following the end of analogue transmissions in Northern Ireland. Digital content is delivered via terrestrial, satellite and cable, as well as over IP. Valerie Singleton is an English television and radio presenter best known as a presenter of the popular children's series Blue Peter from 1962-1972. She also presented the BBC Radio 4 PM programme for ten years as well as a series of radio and television programmes on financial and business issues. Doctor Who Magazine is a magazine devoted to the long-running British science fiction television series Doctor Who. Its current editor is Marcus Hearn, who took over from the magazine's longest-serving editor, Tom Spilsbury, in July 2017. It is currently recognised by Guinness World Records as the longest running TV tie-in magazine. BBC Gàidhlig is the department of BBC Scotland that produces Scottish Gaelic-language (Gàidhlig) programming. This includes TV programmes for BBC Alba, BBC Two Alba, the BBC Radio nan Gàidheal radio station and the BBC Alba website. Its managing editor is Marion MacKinnon. This is a timeline of the history of the British Broadcasting Corporation (BBC). TVTimes is a television listings magazine published in the United Kingdom by TI Media, it is known for its access to television actors and their programmes. The RTÉ Guide is a television and radio listings magazine in Ireland published by RTÉ Commercial Enterprises Ltd, a subsidiary of Raidió Teilifís Éireann. The media in Wales provide services in both English and Welsh, and play a role in modern Welsh culture. BBC Wales began broadcasting in 1923 have helped to promote a form of standardised spoken Welsh, and one historian has argued that the concept of Wales as a single national entity owes much to modern broadcasting. The national broadcasters are based in the capital, Cardiff. This is a list of British television related events from 1991. This is a list of British television related events from 1988. This is a list of British television related events from 1987. This is a list of British television related events from 1984. This is a list of British television related events from 1983. This is a list of British television related events from 1982. This is a list of British television related events from 1981. ↑ "ABC Certificates and Reports: Radio Times". Audit Bureau of Circulations . Retrieved 19 August 2018. 1 2 "The history of Radio Times". RadioTimes. ↑ "BBC - The Radio Times - History of the BBC". bbc.co.uk. ↑ Sweney, Mark (16 August 2011). "BBC Worldwide agrees £121m magazine sell-off". The Guardian. ↑ Preston, Peter (11 March 2012). "What price the Radio Times? Only private equity can tell us". The Guardian. ↑ Chapman, Matthew (11 April 2012). "Radio Times hires Hello! ad director". Media Week. ↑ "Radio Times pre-war television supplements - History of the BBC". bbc.co.uk. ↑ "Happy birthday Radio Times: Ten of the best covers from the last 90 years". pressgazette.co.uk. ↑ Conlan, Tara (8 August 2005). "For viewers of quality ..." The Guardian. Retrieved 31 July 2016. ↑ "UK magazines lose print sales by average of 6.3 per cent – full ABC breakdown for all 503 titles". Press Gazette . 14 February 2014. Retrieved 14 February 2014. ↑ "Radio Times Facts and Figures". radiotimesarchive.co.uk. Retrieved 15 April 2018. ↑ "Former Time Inc editor-in-chief Mark Frith named as the new editor of Radio Times". Press Gazette. Retrieved 15 April 2018. 1 2 Kelion, Leo. "BBC finishes Radio Times archive digitisation effort". BBC Online . Retrieved 20 January 2013. 1 2 Bishop, Hilary. "Genome – Radio Times archive now live". BBC Online . Retrieved 15 October 2014. ↑ Sweney, Mark (16 October 2014). "BBC digitises Radio Times back issues". The Guardian. ↑ "Doctor Who – The greatest magazine cover of all time". Radio Times. BBC Magazines. Archived from the original on 24 May 2011. Retrieved 1 October 2008. ↑ Martin, Nicole (29 September 2008). "Vote Dalek image voted best magazine cover of all time". Daily Telegraph . London. Retrieved 1 October 2008. ↑ "FAQs". BBC Genome . 15 October 2014. Retrieved 19 October 2014. 1 2 Briggs, Asa (1995). The History of Broadcasting in the United Kingdom: Volume IV: Sound and Vision. OUP. ISBN 978-0-19-212967-3. ↑ "Radio Times ANNUAL 1956" . Retrieved 26 December 2018.